Evaluating new software isn’t easy. Companies must determine with certainty whether an option is unacceptable, adequate, or extraordinary. And doing so requires careful calculation between wants, needs, costs, and benefits. A lot is on the line, and yet, a lot is unknown. These two organizations, however, found the right software for their reporting needs. Read on to see how each was able to use Spreadsheet Server to turn their static spreadsheets into optimal business resources. After almost a century in business, Nelson River Construction has grown to become one of the largest heavy construction contractors in Canada. The company initially relied on Financial Manager in Viewpoint to handle reporting but found the system to be counter-intuitive, and thus, counter-productive. Preparing reports took at least a week, and busted deadlines were a common occurrence. After searching for a new solution, Nelson River Construction implemented Spreadsheet Server, where reporting happens in the familiar environment of Excel. 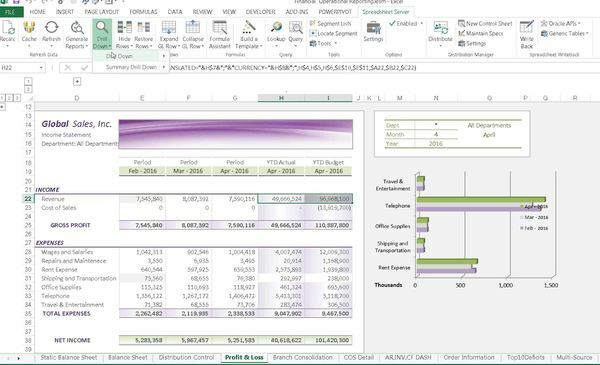 Since every accountant knows and loves Excel, securing buy-in and handling onboarding was simple. And once the solution was fully deployed, Nelson River Construction transformed its reporting process. All reports now run through Spreadsheet Server, including schedules, cost of sales, salaries/benefits, financial ratios, and KPIs. They have also built an additional 30-40 reports with the simple tools in QueryDesigner, giving the company much stronger strategic insights. Their accountants have plenty of time to apply those insights because they estimate that Spreadsheet Server has shaved three days per month off reporting times. Even HR is starting to do in-depth reporting, all without needing to rely on the IT department. Thanks to Spreadsheet Server, reporting finally lived up to its full potential. Warfel Construction has been operating in Central Pennsylvania since 1911, thriving due to its adaptability and value-added services. Despite its emphasis on success, the company’s own reporting process was a mess. It relied heavily on manual inputs, and reporting took the accounting team upward of 20 hours a month. When decision makers had questions about the data, the process took even longer. Viewpoint representatives recommended Spreadsheet Server as the solution. After implementation, reporting times fell by 75 percent. Work that used to done manually was now automated, leading to faster reporting times and fewer errors. Accountants at Warfel Construction have even set up dynamic reports that users outside the accounting department can access to find up-to-date figures and the data behind them. More departments are leveraging data now that it’s available in half a day rather than three or four days. Before Spreadsheet Server, reporting was a lost opportunity, possibly even a liability for Warfel Construction. Now it’s an asset. The evaluation process is just getting started. Ask yourself if some of the issues outlined above sound familiar. Then consider how your organization could flourish with faster, easier, and smarter reports made accessible to everyone. When you’re ready to experience Spreadsheet Server hands-on, we’ll get you started.